One Owner, Clean Carfax, Heated & Cooled Seats, Panoramic Roof, 2nd Row Bucket Seats, Backup Camera, Leather Seats, Navigation, 10-Way Power Heated Cooled Driver/Passenger Seat, 1-Touch PowerFold & Tumble 3rd Row Fold Flat Bench, Active Park Assist, Adaptive Cruise Control, Class III Trailer Tow Package, Engine Oil Cooler, Equipment Group 303A, Heated Steering Wheel, Monochromatic Roof, Multipanel Vista Roof, Power Tilt/Telescopic Steering Column. Certified. 2018 Honda ODYSSEY EX-L 3.5L V6 WITH PREMIUM LEATHER SEATS / SUN / MOON-ROOF / MP-3 PLAYER / HEATED MIRRORS AND SEAT'S / PRIVACY GLASS / REAR SPOILER / POWER 3RD AND 4TH DOORS + LIFT-GATE / FOG LAMP'S / BALANCE OF FACTORY WARRANTY / KEY-LESS ENTRY & START / REMOTE ENGINE START / MULTI-ZONE A/C + CLIMATE CONTROL / ADAPTIVE CRUISE CONTROL / TRIP COMPUTER / SECURITY SYSTEM / CROSS-TRAFFIC ALERT'S / LANE DEPARTURE WARNING'S / LANE KEEPING ASSIST / BLIND SPOT MONITOR / 3RD ROW SEAT'S / SAVE $$$$ THOUSANDS OVER BRAND NEW / INTEGRATED TURN SIGNALS / EXTRA SHARP!! Clean Carfax, One Owner, New Tires, Backup Camera, Black Rims, Lifted. 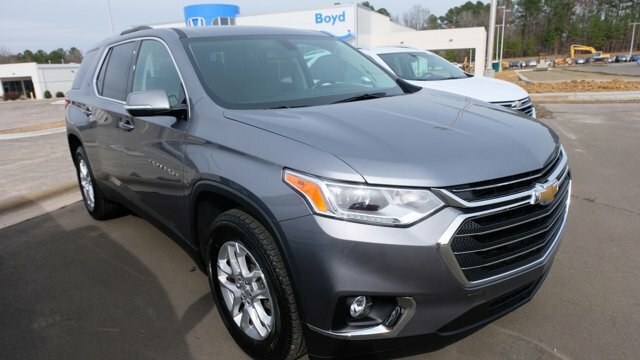 2018 CHEVROLET TRAVERSE LT W/1LT 3.6L V6 / PREMIUM CLOTH SEATS / 3RD ROW SEAT'S / MP-3 PLAYER / 7" DIAGONAL COLOR TOUCH SCREEN W/ APPLE CAR PLAY / PRIVACY GLASS / HID HEADLIGHTS W/ FOG LAMPS / MULTI-ZONE A/C + CLIMATE CONTROL / KEY-LESS ENTRY / REAR BACK-UP CAMERA / TRACTION & STABILITY CONTROL / SECURITY SYSTEM / BALANCE OF NEW 36/36,000 MILE FACTORY WARRANTY / EXTRA SHARP!! One Owner, Ford Certified, Comfort leather package, Sync 3, Power lift gate, 20" wheels with the Sport package. 4WD, 20 inch ultra motorsport wheels, Nitto terra grapler tires, Level kit, Running boards, Rear view camera!! Navigation, Heated and cooled leather seats, Sony audio, 20 inch wheels, Intelligent access with push button start, Remote start, Power fold third row seats, Hands free power lift-gate!! AWESOME!!! BEAUTIFUL 2018 LINCOLN MKX SELECT FWD 3.7L V6 WITH PREMIUM LEATHER SEATS, EXTRA POWER OPTIONS, LOW MILES @ 15K AND 48/50,000 MILE WARRANTY, HEATED MIRRORS, BLUETOOTH CONNECTION, FOG LAMPS, SECURITY SYSTEM, REAR PARKING AID WITH BACK-UP CAMERA, REMOTE ENGINE START, HEATED FRONT SEAT'S, KEY-LESS ENTRY AND START, REAR SPOILER, 17" SPORT WHEELS, PRIVACY GLASS, HID HEADLIGHTS,EXTRA SHARP!! 4X4 XLT 300A...3.5L V6 ECOBOOST...17" ALUMINUM WHEELS...REAR CAMERA...TOW HITCH! One Owner, Clean CARFAX, 3.5 ECOBOOST, AWD, Heated & Cooled Seats, Panoramic Sunroof, 10-Way Power Heated Cooled Driver/Passenger Seat, 1st & 2nd Row Floor Mats, 1-Touch PowerFold & Tumble 3rd Row Fold Flat Bench, Active Park Assist, Adaptive Cruise Control & Collision Warning, Appearance Package, Equipment Group 303A, Heated Steering Wheel, Leather-Trimmed Bucket Seats w/Perforated Inserts, Leather-Wrapped Steering Wheel, Power Tilt/Telescopic Steering Column, Shadow Black Painted Grille Center Bar, Shadow Black Painted Roof, Shadow Black Sideview Exterior Mirror Caps, Unique Finish Door Trim Appliques, Unique Finish Instrument Panel, Wheels: 20" High-Gloss Ebony Black. Check out this Custom Leveled F-150 complete with oversize wheels and tires. It has One Owner, Clean Carfax, ABS brakes, Compass, Electronic Stability Control, Equipment Group 300A Base, Illuminated entry, Low tire pressure warning, Remote keyless entry, Traction control. 4X4, 20 inch wheels,, Leveling kit, Rear view camera, Nitto terra grapler tires, Running boards!! Clean Carfax, 1 Owner, 10-Way Power Heated Cooled Driver/Passenger Seat, 1-Touch PowerFold & Tumble 3rd Row Fold Flat Bench, Active Park Assist, Adaptive Cruise Control & Collision Warning, Equipment Group 303A, Heated Steering Wheel, Multi-Panel Vista Roof. One Owner, Ford Certified, All wheel drive with Multi-Panel Vista Roof, 20" Polished wheels, Active Park Assist, Adaptive Cruise control, Heated and Cooled Leather seats. Infiniti Factory Certified, Clean Carfax, One Owner, Navigation, Sunroof, Leather Seats, Heated Seats, Backup Camera, , Technology Package, Essential Package, AWD, 60/40 Split-Folding Rear Seats, All Weather Package (L93), All-Season Floor Mats, Essential Package (3.0t SPORT), Heated Front Seats, Heated Steering Wheel, INFINITI InTouch Navigation System, Navigation System, Remote Engine Start, Trunk Protector.Financing with IFS may be required for Certification.INFINITI Certified Pre-Owned Details:* Limited Warranty: 72 Month/Unlimited Mile (whichever comes first) Limited Warranty 72 months/Unlimited miles from original in-service date for vehicles over 15,000 miles & under 2 years old, 24 months/Unlimited miles from certified purchase date for vehicles over 15,000 miles & older than 2 years* Roadside Assistance* Vehicle History* 167 Point Inspection* Includes Rental Car and Trip Interruption Reimbursement* Transferable Warranty* Warranty Deductible: $0Visit us at WWW.Crossroadsinfiniti.com for all our Pre-owned specials!